The USDA Forest Service Wildland Fire Assessment System provides a daily assessment of current fires and fire dangers in the U.S. 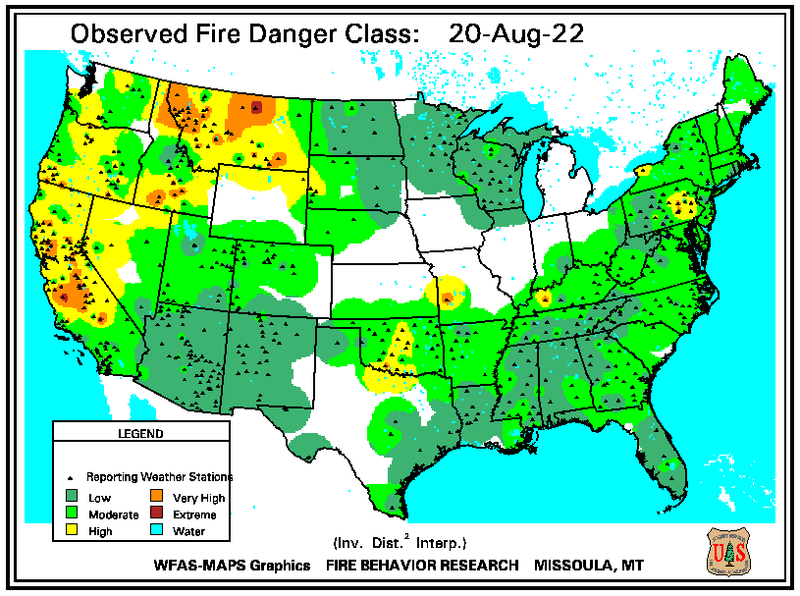 The USDA Forest Service Wildland Fire Assessment System also provides a short-term forecast of fire danger for the next day. 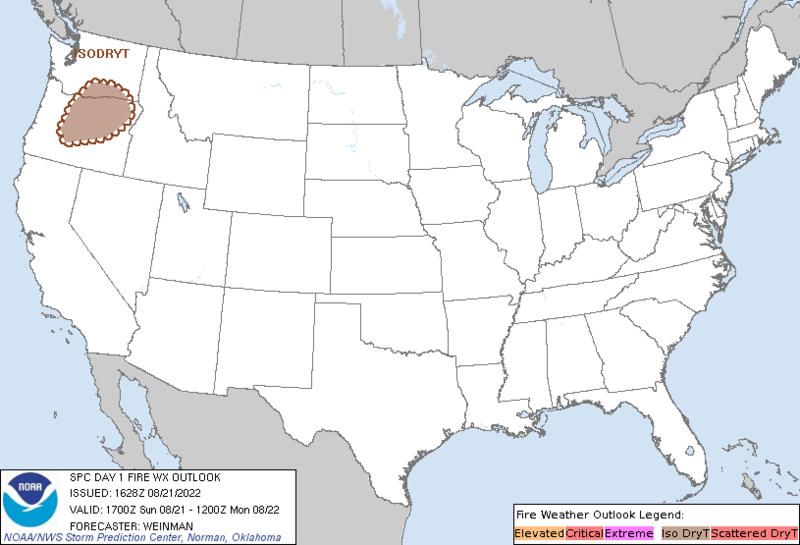 The NWS Fire Weather Forecasts provide short-term forecasts of wildfire danger by assessing whether current weather conditions that might be favorable to wildfire generation. The USDA Forest Service provides a Large Fire Incidents Map using information form the National Interagency Fire Center. The map provides real-time maps and information for forest fires larger than 100 acres, or grass fires larger than 300 acres. The USDA Forest Service MODIS Active Fire Mapping Program uses satellite imagery to detect wildfires as they are actually occurring. The map shown here shows all active fires detected within the last 12 hours.